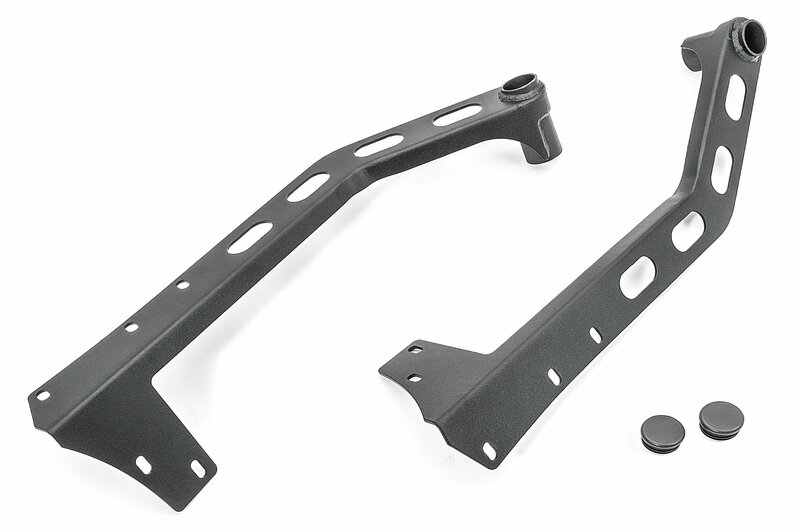 N-Fab's Light Bar Brackets are a great way to mount 50" LED Light bars. The Light Bar Brackets use existing mounting locations on the windshield pillars for a super clean installation. All N-Fab JEEP light mounting solutions are made in the USA, finished in a texture black powder coat, are backed by a five year finish warranty and lifetime craftsmanship warranty. 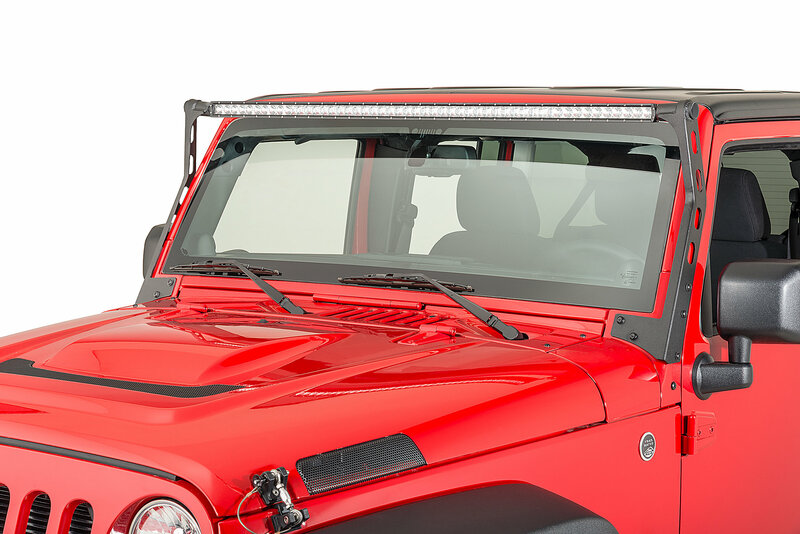 For use with the Rigid Industries "E" Series 50" LED Light Bar. Light Bar Light sold separately!! !